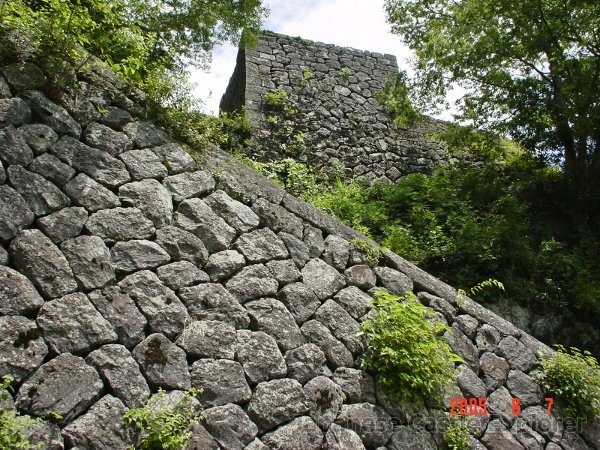 Oka Castle is classified as a mountain castle, and is located in Ōita Prefecture. During the pre-modern age, it found itself within the borders of Bungo Province. 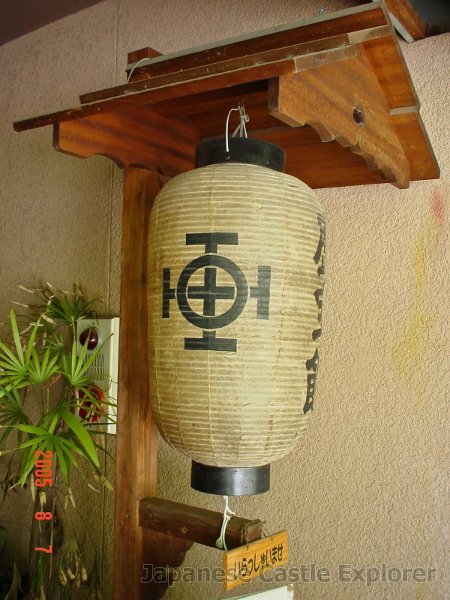 It is associated with the Ogata, Nakagawa clans. 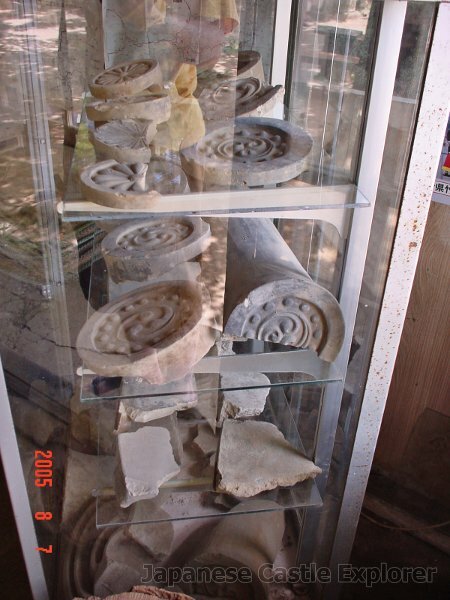 Dates in use: 1185 - 1871. 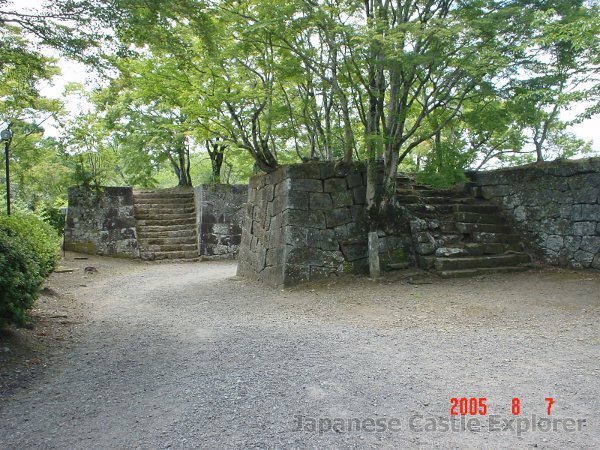 Few castles in Japan have had as long a history as this one. 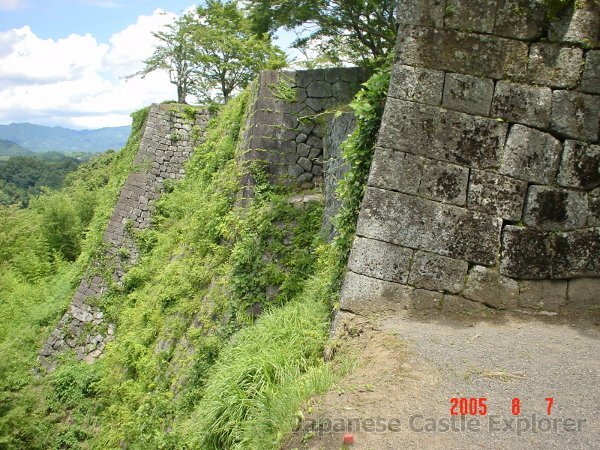 Oka castle was built and expanded upon in stages over a period of almost 500 years and was initially a castle aligned with the Minamoto clan during their battles with the Taira. 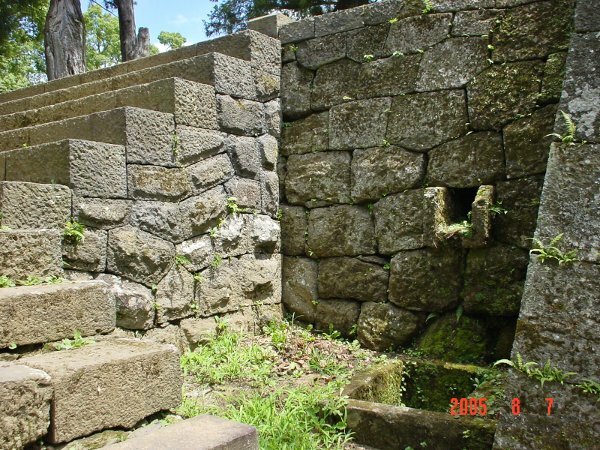 The remnant stone walls & foundations stretch for several kilometres. 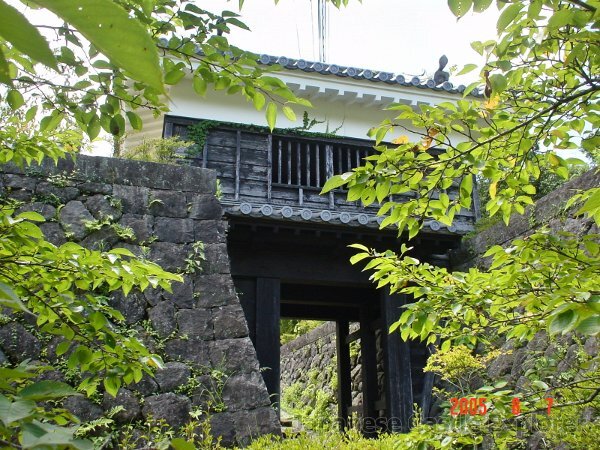 There was once a turret called the Suzumi (Cooling Oneself) Yagura for the ladies of the castle. 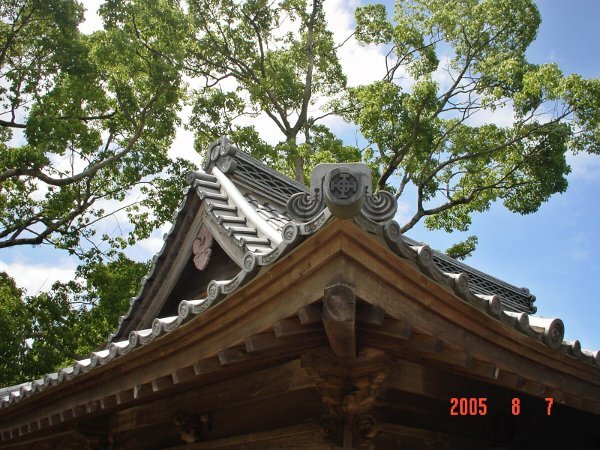 Other buildings included, the main tower - Gosangai Yagura, the Tsukimi Yagura and the Ofuro Yagura. 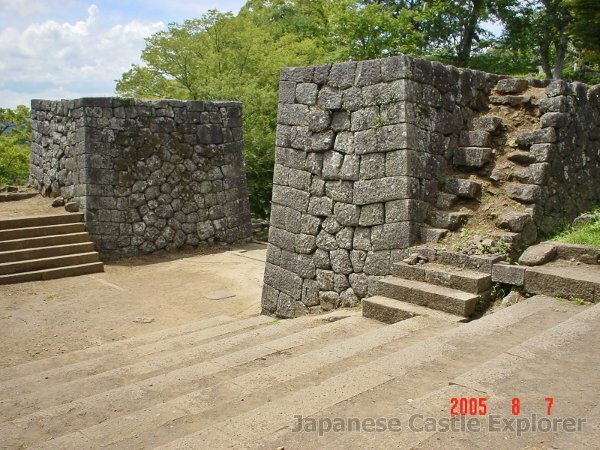 1185 Said to have been constructed by Ogata Saburo Koreyoshi. 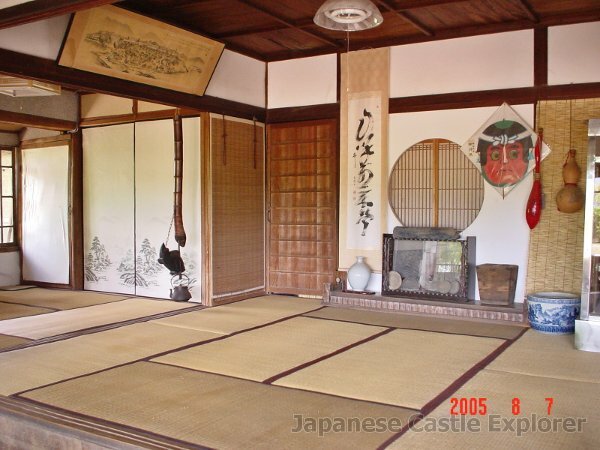 1300's During the mid 1300's, the castle was granted to, and repaired by, the Shiga clan who were subordinate to the Ōtomo clan. 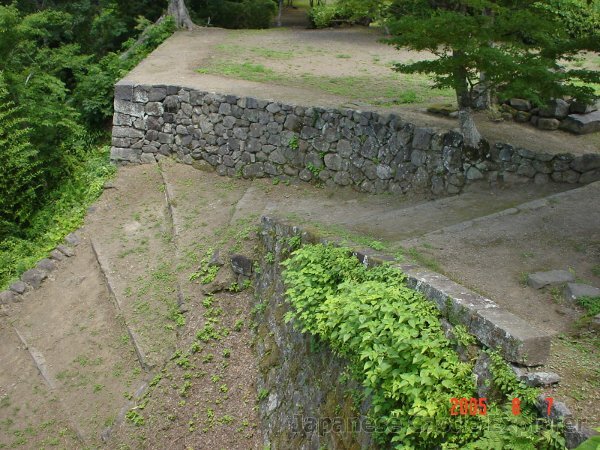 1586 The castle garrison, under the command of Shiga Chikayoshi, resisted the attacks of the Shimazu clan. 1593 The Ōtomo had their lands, and thus that of the Shiga's confiscated. 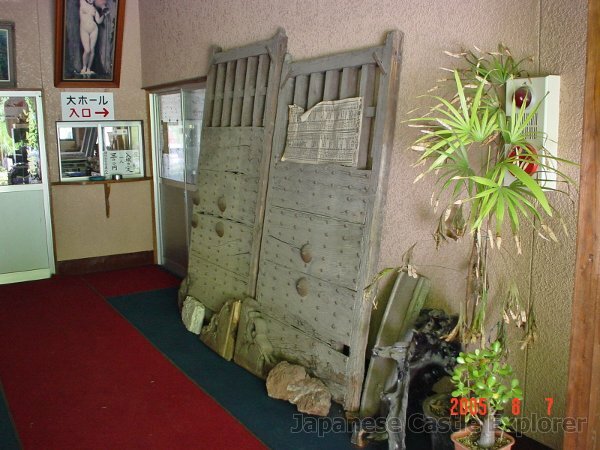 1594 The Nakagawa clan were transferred here and remained for 14 generations. 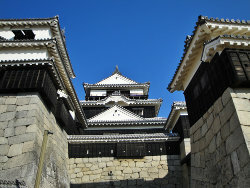 The castle was remodeled over the following two years. 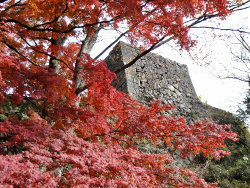 1663 The castle was enlarged with the addition of the Nishi no Maru making it a truly giant mountain castle. 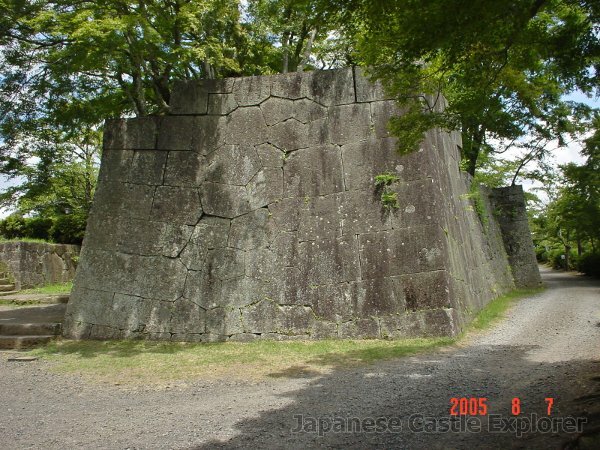 1769 The Sankai turret (三階櫓), the castle's de facto Tenshu, collapsed due to an earthquake. 1771 The majority of the castle's building were lost to fire. The fire had originated in the castle town. 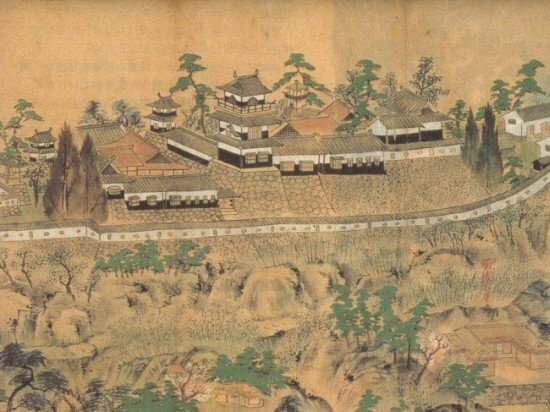 1774 The three-layered tower (三階櫓) was rebuilt. 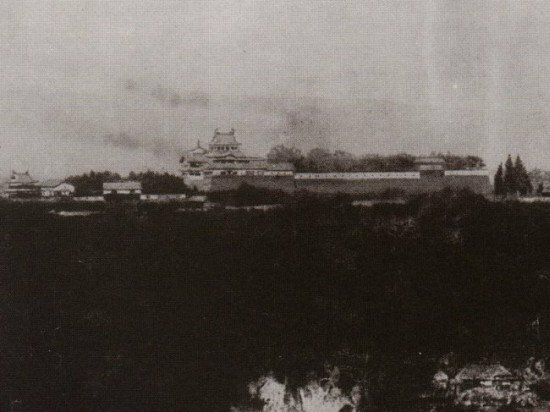 1874 A vote took place that the buildings of Oka castle, along with those of four other castles in Ōita, be torn down and their materials be used for other building projects.